Esposito, A.P. ; Stedl, T.; Jonsson, H.; Reid, P. J.; Peterson, K. A. "Absorption and Resonance Raman Study of the 2B](X) — 2A2(A) Transition ofChlorine Dioxide in the Gas Phase," J. Phys. Chem. A, 1999,103, 1748-1757. Green, T. J.; Islam, M.; Canosa-Mas, C.; Marston, G.; Wayne, R. P. "Higher Oxides of Chlorine: Absorption Cross-sections of CI2O6 and CI2O4, the Decomposition of C1206, and the Reactions of OCIO with O and 03," J. Photochem. Photobiol. A: Chemistry 2004, 162, 353-370. Ibanez, J. G.; Navarro-Monsivais, C.; Terrazas-Moreno, S.; Mena-Brito, R.; Pedraza-Segura, L. Mattson, B.; Anderson, M. P.; Fujita, J.; Hoette, T. "Microscale Environmental Chemistry, Part 5. Production of CIO2, an Environmentally-Friendly Oxidizer and Disinfectant," Chem. Educ. 2006,11,174-177. McKetta, J. Inorganic Chemicals Handbook. Vol. 2, "Chlorine Dioxide"; Marcel Dekker: New York, 1993. pp. 779-810. Oikawa, K.; Hayashi, Y. "Method for Preparing Stabilized Aqueous Chlorine Dioxide Solution," U.S. Patent 5,165,910 (Nov. 24,1992). Paddon, C. A.; Atobe, M.; Fuchigami, T.; He, P.; Watts, P.; Haswell, S. J.; Pritchard, G. J.; Bull, S. D.; Marken, F. "Towards Paired and Coupled Electrode Reactions for Clean Organic Microreactor Electrosyntheses," J. Appl. Electrochem. 2006, 36, 617-634. Rajeshwar, K.; Ibanez, J.G. Environmental Electrochemistry: Fundamentals and Applications in Pollution Abatement: Academic Press: San Diego, 1997. Chapter 7. Roozdar, H. "Method and Compositions for the Production ofChlorine Dioxide," U.S. Patent 5,651,996. (Jul. 29, 1997). Rosenblatt, A.; Rosenblatt, D. H.; Feldman, D.; Knapp, J. E.; Battisti, D.; Morsi, B. "Method and Apparatus for Chlorine Dioxide Manufacture," U.S. Patent 5,234,678 (Aug. 10, 1993). 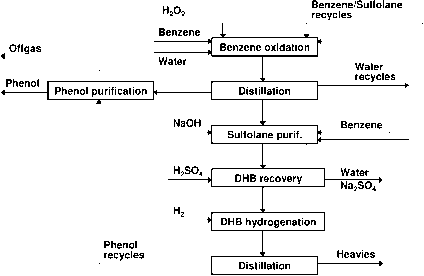 Sokol, J. C. "Process for Continuously Producing Chlorine Dioxide," U.S. Patent 5,380,517 (Jan. 10, 1995). Svenson, D. R.; Kadla, J. F.; Chang, H-M.; Jameel, H. "Effect of pH on the Inorganic Species Involved in a Chlorine Dioxide Reaction System," Ind. Eng. Chem. Res. 2002,41, 5927-5933. Yin, G.; Ni, Y. "Mechanism of the C102 Generation from the H2O2-HCIO3 Reaction," Can. J. Chem. Eng. 2000, 78, 827-833.